Once upon a time, in the 1980s, Jennifer Connelly, David Bowie, and a whole horde of goblin puppets journeyed into Labyrinth. 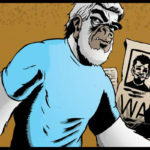 At the time, the film wasn’t a financial success, but its cult status has been more than established in the thirty-some years since its release. Beyond its continued popularity, Labyrinth is one of those films that’s still very much alive. With Jim Henson’s Labyrinth: Coronation and semi-frequent anthologies released with new Labyrinth stories, the world of the film is still growing and changing. 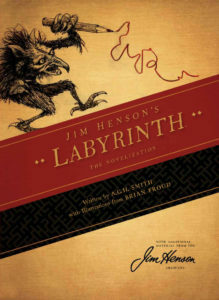 One of the most recent additions to its universe is the re-release of Jim Henson’s Labyrinth: The Novelization. First released in the 1980’s, A. C. H. Smith’s retelling of the film is now available in softcover again. Unlike some novelizations, Jim Henson’s Labyrinth: The Novelization is a fairly uncomplicated retelling of the film. There’s no alternate ending or new sequences (although the Fireys scene is extended), and the only new information we learn is about Sarah’s mother. For the most part, the reader simply gets the film beat for beat, and that’s completely fine. The story will obviously then be familiar to everyone who’s watched the film. When Sarah’s brother is taken by the Goblin King, she must journey into the Labyrinth and face unknown dangers to save him. 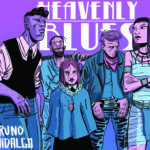 She meets friends and foes and learns about growing up and moving on along the way. The story is a standard fairy tale and it works well with or without the film to ground it. A. C. H. Smith’s writing style fits the story, and he mostly succeeds at writing the POV’s of the various characters. He also manages to infuse heart into the story — which can be difficult to accomplish in a novelization. Unfortunately, the author’s only true fault is when it comes to writing about Sarah. Mostly, he manages just fine, but there are several uncomfortable moments. For example, there are two reference’s to Sarah’s anatomy, and each are squirm-worthy, to say the least. Beyond that, the novel contains a completely unnecessary moment of victim-blaming that occurs right after the masquerade sequence. An entire paragraph is devoted to Sarah blaming herself for being groped and leered at during the ball. It is very, very bad and a little shocking that it wasn’t excised from the book completely. There were a few other slight problems with the novelization beyond the slight ick-factor. Almost exclusively, they relate to the musical numbers. It’s obviously difficult to recreate dance sequences in a novel, and scenes like “As the World Falls Down” and “Chilly Down” are rough. “Magic Dance” is cut completely (which, although understandable, is a tragedy because it’s the best scene in the film), and “Within You” is nonsensical. Labyrinth is a film that leans heavily on weird visuals, and the grander scenes simply have too much going on in them to translate to the page. It’s one of the reasons Labyrinth works so well in comic format. In a novelization, it loses a lot of what makes Labyrinth Labyrinth. While the novelization is (mostly) enjoyable, the best part of Jim Henson’s Labyrinth: The Novelization is not the novelization itself. 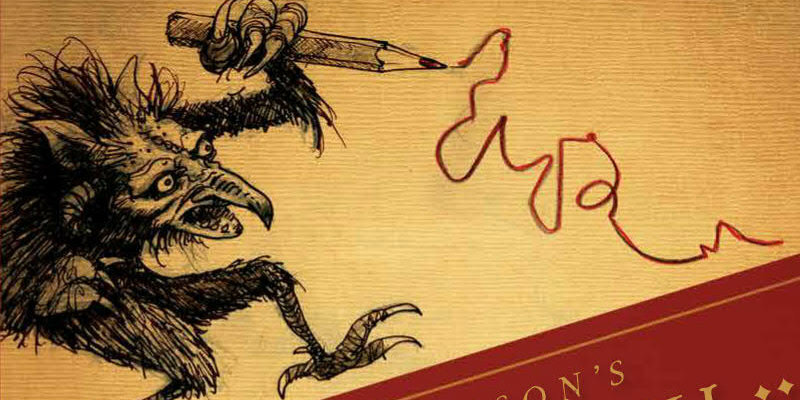 The book includes concept art by Brian Froud and pages from Jim Henson’s personal journal. Both make it worth the cover price. It’s wonderful to see Jim Henson’s original concepts for the film written in his own hand, and the art by Brian Froud is fantastic. Almost a third of the book is devoted to the sketches and journal, so Jim Henson’s Labyrinth: The Novelization is worth picking up for that alone. Fans of Labyrinth won’t be disappointed by Jim Henson’s Labyrinth: The Novelization. The novel itself is a good read (with a few unfortunate issues) but the extras make up for any weaknesses in the novel itself. Definitely pick it up!